Sebastien Loeb has taken ownership of the Peugeot 208T16 he used to break the Pikes Peak hillclimb record in 2013 and will use it in France later this season. Motorsport’s governing body, the FIA, has requested an explanation from the Swiss federation over the circumstances of TV star Richard Hammond’s high-profile crash during the Hemberg Bergrennen event on Saturday. Former Top Gear star Richard Hammond’s massive accident at a hillclimb venue in Switzerland occurred after the finish line of the competitive section of road. Television star Richard Hammond has been rushed to hospital in Switzerland after a serious crash in a hillclimb event. 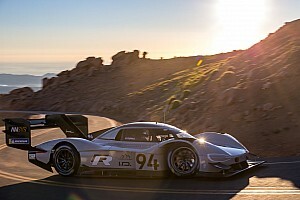 Just a week after he won the 24 Hours of Le Mans for a second time, France’s Romain Dumas also claimed his second win in the famous Pikes Peak hillclimb on its 100th anniversary running. Driving the Norma M20 RD Limited Spec-2016 entered by his own team, the Alès, France driver finish ahead of defending winner Rhys Millen and his electric prototype. 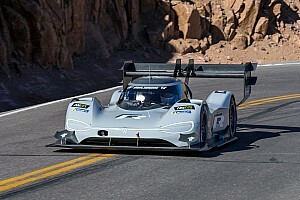 Author of the fastest time in qualifying on the legendary Pikes Peak road in the Norma M20 RD Limited Spec-2016, Romain Dumas finished the week’s worth practices on Friday. The French driver continued to work on the Norma M20 RD Limited Spec-2016 settings on the middle section of the mountain road. France native driver holds provisional pole for the famous Race to the Clouds, which is celebrating its 100th year. Two Acura NSX supercars and a new NSX-inspired, all-electric 4-motor SH-AWD Concept will compete in the 100th anniversary of Pikes Peak International Hill Climb. The Norma M20 RD Limited is now equipped with a four-wheel system, the 2016 spec is an all-new car lighter and more powerful. 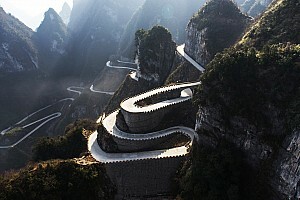 Carl Sorensen's Kawasaki left the road near the 14,115-foot summit. Organiser Tony Quinn has cancelled the 2016 running of the Race to the Sky cillclimb in New Zealand. Justin Wilson will pilot Honda's LMP2 car in the famous Hill Climb. Alister McRae took a popular win in the re-born New Zealand hillclimb in the very car that the late Possum Bourne drove to victory at the same event in 2001. Nobuhiro 'Monster' Tajima will race his 670 horsepower Super 86 hillclimb car at the re-born Repco Race to the Sky later this month in New Zealand. Will sponsor event for third straight year. The Hillclimb community has suffered their second loss of 2014. After three attempts at taming the race to the clouds, Jean-Philippe Dayraut is putting his specially prepared 900hp Mini up for sale. We took the opportunity to sit down with the French driver and chat about what it's like to take on Pikes Peak.